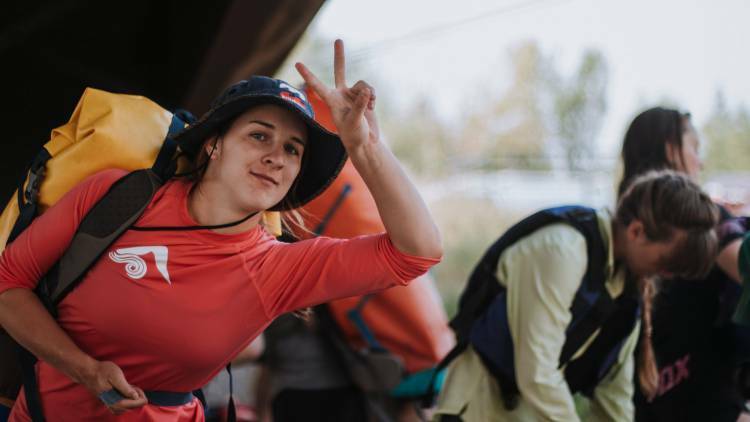 An immersive two-week canoe trip and learning adventure, the Columbia River Field School invites 16 local youth aged 15-18 to travel by canoe while exploring important aspects of the river’s story through geography, ecology, hydrology, technology, economics, politics, history and culture. Participants will paddle key sections of the river and visit important places, including the Columbia Wetlands, historic First Nations’ sites, dams and reservoirs, and more. Along the way, they will meet with a diverse selection of highly qualified guest speakers including indigenous leaders, local and provincial government officials, scientists, conservationists, writers, artists, adventurers, and other lifelong residents. The Field School is designed to give students a much-needed understanding of the complex challenges and opportunities of the Columbia, so they can help shape its future. The Field School explores the Canadian part of the Columbia River by canoe, from the headwaters at Canal Flats, through Columbia Lake and the Columbia Wetlands, the Revelstoke area, Lower Arrow Lake, and to the confluence with the Kootenay River at Castlegar. Participants learn canoe skills and safety at the start of the journey, camp out on the riverside along the way, and paddle important sections of the mighty Columbia. Youth: What can young people do to have a voice in decision making? Participants can expect to gain new friends, rich memories, and a holistic understanding of the river that flows through the place they call home, not to mention certifications from the Recreational Canoe Association of BC. To read about last year’s program, click here. This year’s trip dates are August 15th – 28th. The program cost is $500 with financial aid bursaries available (apply as part of the application). To be eligible, applicants must be 15, 16, 17, or 18 years old on August 15th and must live within the Columbia Basin Trust region. Apply now! Applications are due by May 15th and you can expect to hear back by June 1st. A note on accessibility: If you have any questions or concerns regarding your ability to participate in trip activities due to a physical, mental, or medical condition or disability, please get in touch with us to discuss possible adaptations/accommodations. We will do our best to support you. Wildsight thanks the Columbia Basin Trust for making this program possible.